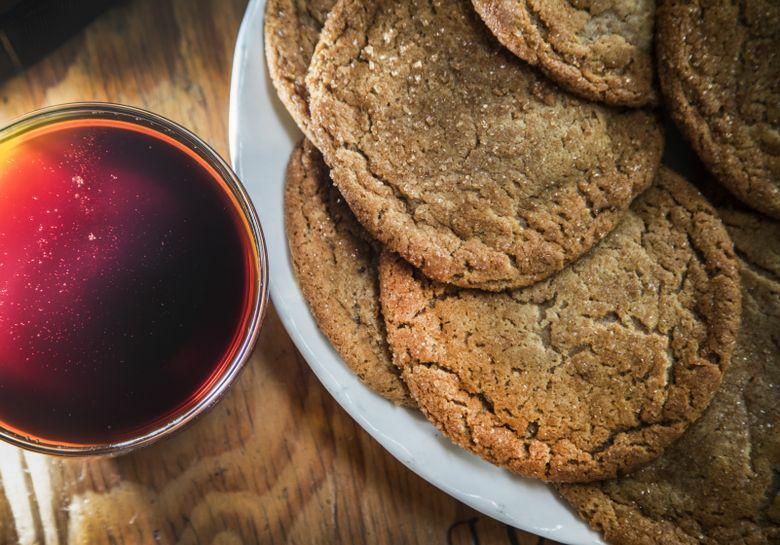 Try the recipe for this sweet Steen’s treat: It’s like a molasses cookie, but packed with extra-special flavors and spices. TRADITIONS ARE TRADITIONS, and my mom’s recipe says to use corn syrup for holiday pecan pie. But traditions can evolve and change with their surroundings, just as people do. In my case, that means embracing the sweet Southern influences that have trickled into Seattle the past few years, including the cane syrup that’s a far more traditional sweetener in the South. Cane syrup, derived from sugar cane rather than Karo’s cornstarch, is tops for pecan pie because it’s richer and yet not as sweet-tasting as corn syrup, says Heather Earnhardt, who swears by Steen’s in her professional kitchens — The Wandering Goose in Seattle and the Tokeland Hotel on Willapa Bay — as well as in her own home. “It has a smoky-sweet, buttered-toast flavor,” she says. What does she use it for? That’s the wrong question. What doesn’t she use it for? At the Goose, Earnhardt whips cane syrup with soft unsalted butter for extra oomph on her Sweet Blonde biscuit sandwich (country ham, extra-sharp cheddar, over-easy egg). The syrup’s good drizzled over cornbread (or sweet potatoes, or ice cream), added to baked beans and salad dressing, or bolstering the glazes she uses on shrimp and chops. 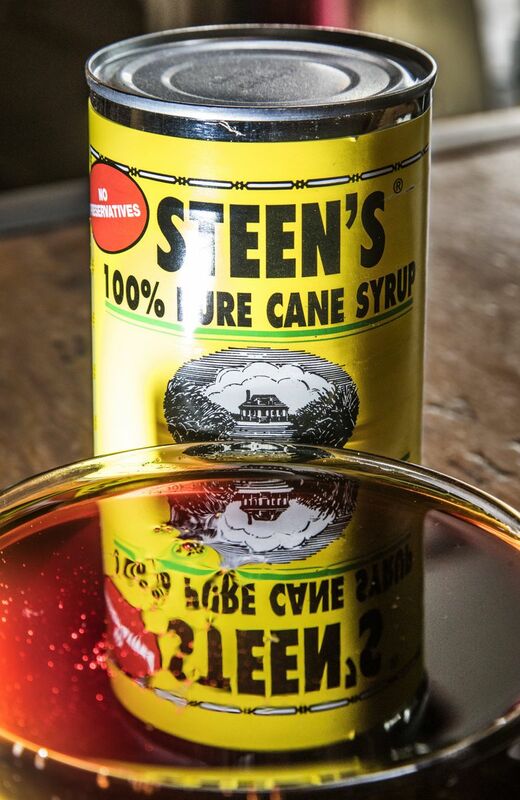 Steen’s is the best-known brand because of the company’s size and long history, but, “If you’re driving through the South, you can pick up local cane syrups; all have different flavors,” Earnhardt says. 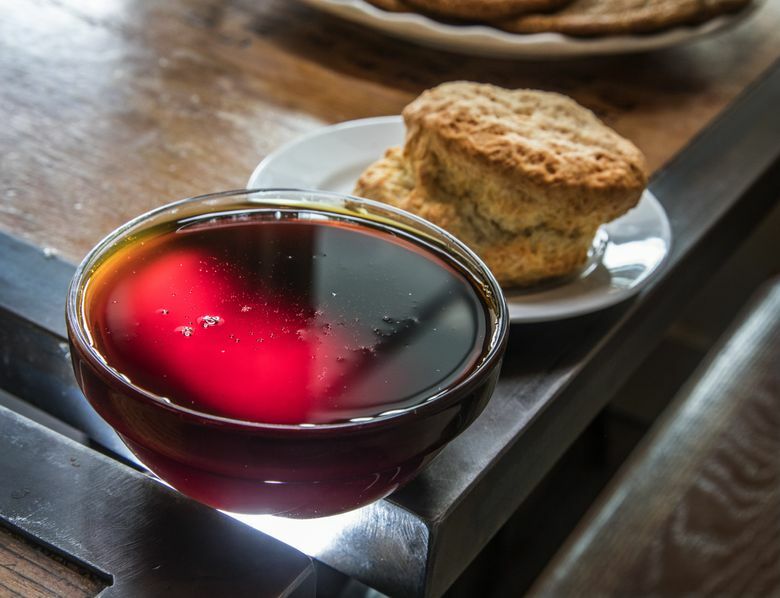 When she’s back home — her childhood territory stretched through North Carolina, New Orleans, South Carolina and the Appalachian foothills — she picks up as many jars from smaller syrup companies as she can fit in her suitcase. It’s not always easy to find cane syrup for sale here. Besides the Goose, likely spots include Chefshop.com in Interbay, which specializes in hard-to-find ingredients. Chefshop has been carrying Steen’s for about 15 years, says owner Eliza Ward. “It had the hallmarks” of what they like to carry, as a traditionally made product from a family-run company. It’s relatively mild, Ward says. If you’re looking for stronger flavor, she recommends still another alternate, sorghum syrup, with a flavor closer to molasses, and more iron to boot. Or, if you’re not yet ready to alter your holiday pie, try out this Steen’s cookie from Earnhardt’s marvelous selection at The Wandering Goose: something like a molasses cookie, but packed with extra-special flavors and spices. It might just create a new tradition along the way. 2. Sift dry ingredients, and set aside. 3. Cream brown and white sugars with butter until light and fluffy. 4. Add yolks, one at a time, until incorporated into the butter-sugar mixture, followed by cane syrup and vanilla extract. 5. Add dry to wet ingredients, and mix until just incorporated. 6. Scatter turbinado sugar onto a sheet of wax paper or other flat surface. Roll dough into balls, and press the top of the cookie down into the turbinado sugar. 7. Line a baking sheet with parchment paper. Evenly space balls of dough on baking sheet, gently pressing on each to flatten it a bit. 8. Bake approximately 11 to 13 minutes, rotating the pan halfway through, until cookies are firm around the edges but still chewy.